The P.G. 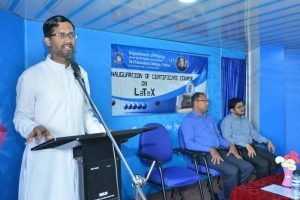 department of Physics of St. Philomena College Puttur, had organised the inauguration of certificate course on LaTeX on 22nd March 2019. 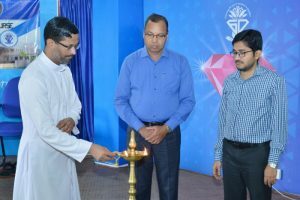 The programme was held in the seminar hall of the college at 9:30 a.m. 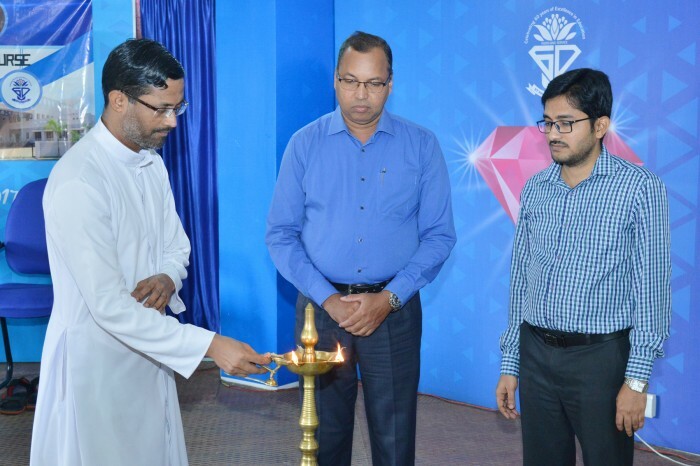 The inaugural session was presided over by Prof. Leo Noronha, Principal of the College. Rev. Dr Antony Prakash Monteiro, the chairman of the PG Centre was the chief guest of the programme. 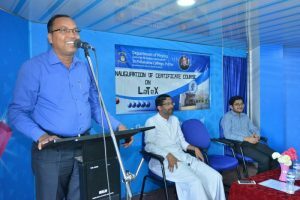 The certificate course on LaTeX was symbolically inaugurated by lighting the lamp. First of all Dr E. Deepak D’Silva, the co-ordinator of the Physics department addressed the students. He said that, “everything in this world is digitalised and software’s have become a part of our life. Software’s play a vital role in teaching as well as in research field, thus learning them is an added advantage for the student”. Rev. 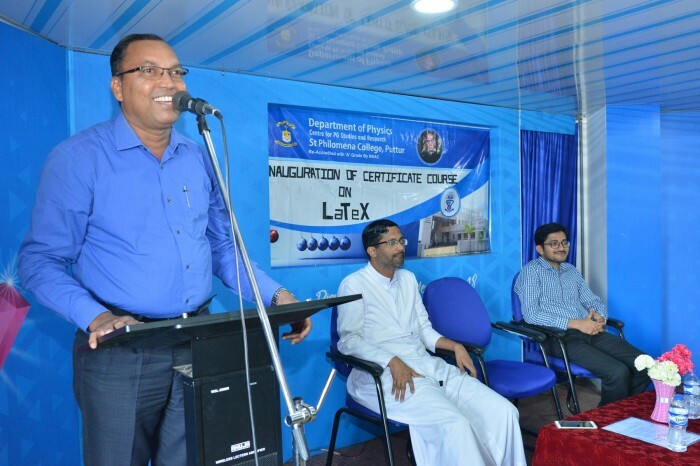 Dr Antony Prakash Monteiro said, “the difficulties and challenges he faced during his research realized him of the importance of LaTeX software. So he introduced LaTeX certificate course in the department. He wished all the students should learn LaTeX with dedication and curiosity. Prof. Leo Noronha in his address said that, “the scientists contribute a lot to the society. Some time they dedicate completely in their research leaving all their comforts to discover something significant for the betterment of the society”. Ms Akshatha G welcomed the gathering, Ms Pramitha and team invoked the blessings through prayer. Vote of thanks was conveyed by Ms Nithya K Nair, Ms Poojashree Rai was the master of ceremony.